The women in the Fat Fridays group continue to come together for their Friday lunches - no calories counted - and to help each other deal with life's complications. With her unexpected pregnancy and the support of the women in the group, Carol Ann breaks free from her dismal life with her parents. Left on her own with no support from the father of her child, she decides to start an interior decorating business on the side. She begins by secretly helping Ed Pritchard, her boss at MacTel, decorate his condo for Christmas. One secret Sunday leads to others. Carol Ann and Ed are planning a future together when Lee, a tall, thin, beautiful young woman sent from MacTel's California headquarters to "fix" their office, disrupts their world. Then, when Ed is diagnosed with a serious illness, he decides it's only fair to break off his engagement to Carol Ann. Devastated, Carol Ann wonders how she can continue. 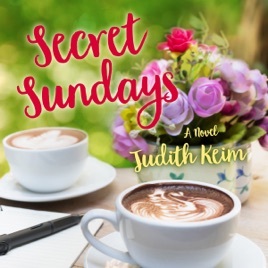 But all their secret Sundays bring about a new beginning. The women in the Fat Fridays group celebrate in style as they welcome another little one into their midst.